I love Mash ups, and then I realised that the nerd art form of mashing up films actually goes back 24 years. Possibly farther. 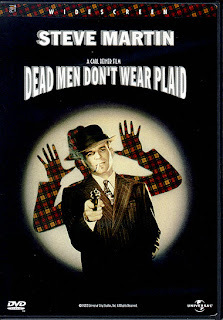 Anyway, Dead Men Don’t Wear Plaid starred steve martin in an homage to detective Film Noir of the 40s and 50s. It was directed by Carl Reiner, and the film mashed up old elements of black and white movies, and plopped Steve Martin right into the action.